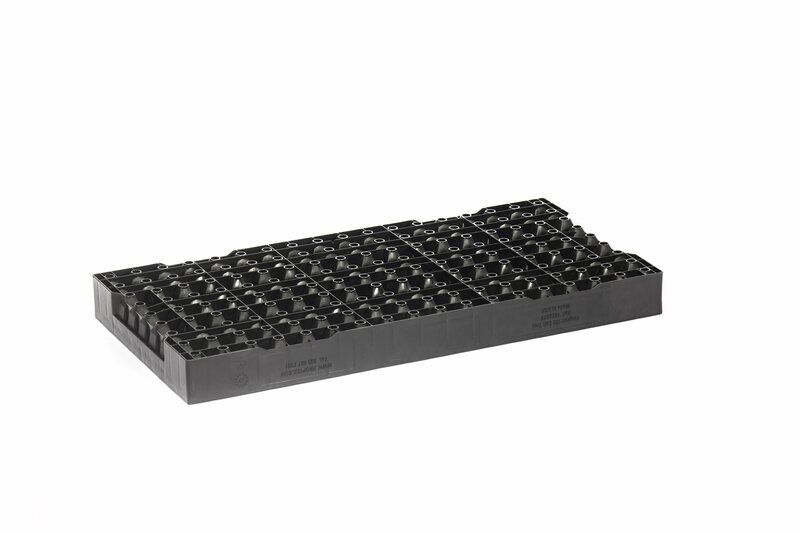 Designed to replace 128 cell Styrofoam tray. 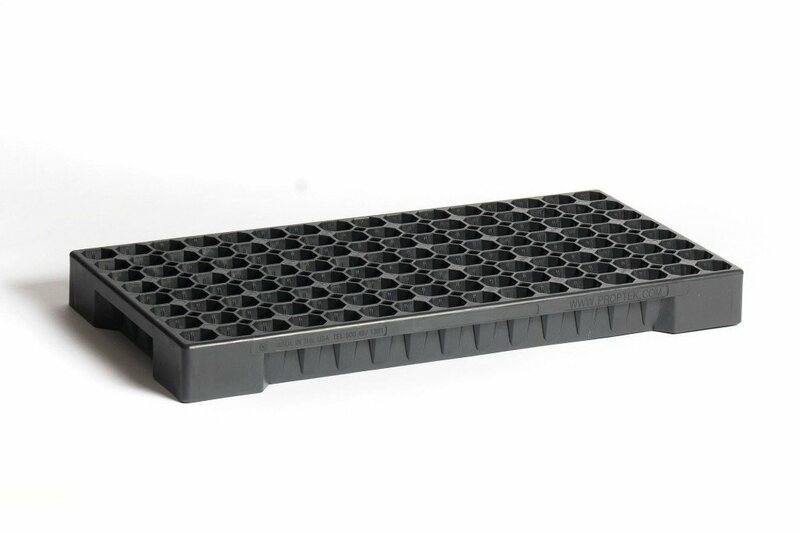 26% more cells, with a decrease of only 8.6% in plant spacing. Unique cell design for great, easy pull plants. 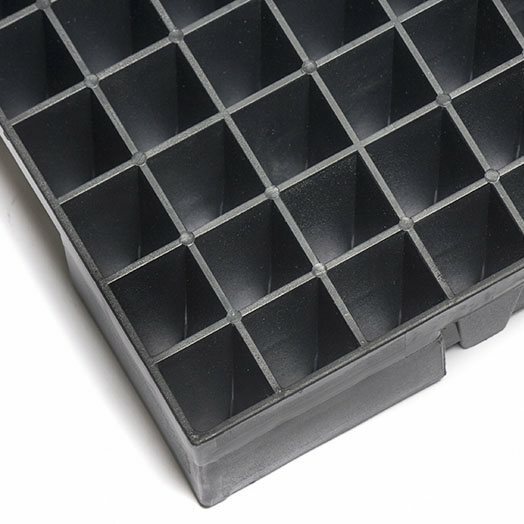 This 162 cell injection molded plastic seed tray (162S67V) is an improvement on our already excellent 162S67F model. 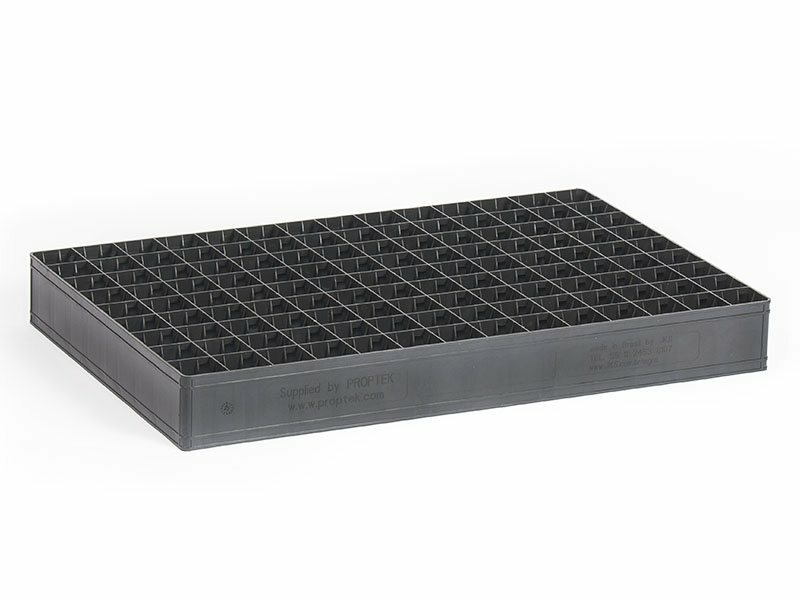 A great tray for a wide range of plants that need wider spacing like zucchini, cucumbers and eggplants, but is a particularly excellent melon seedling propagation tray. 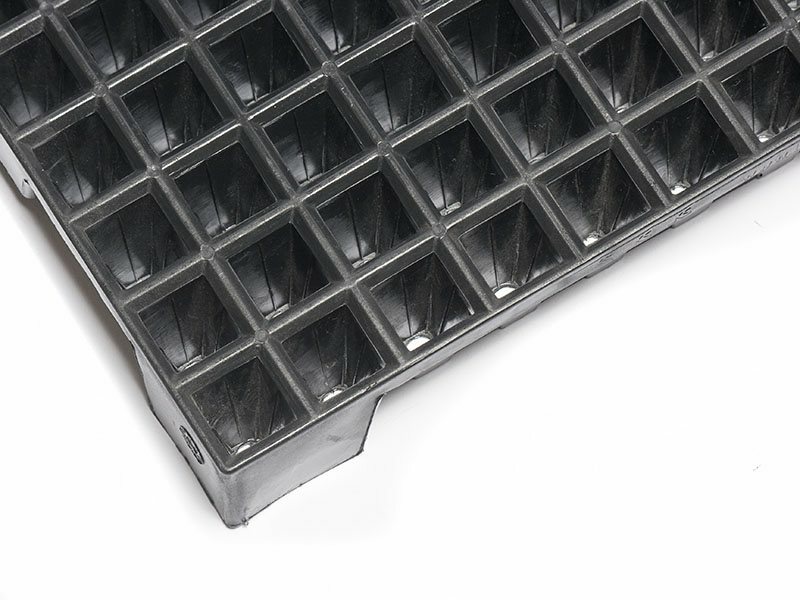 The Proptek 162 tray has been developed to replace the 128 cell EPS Styrofoam tray. 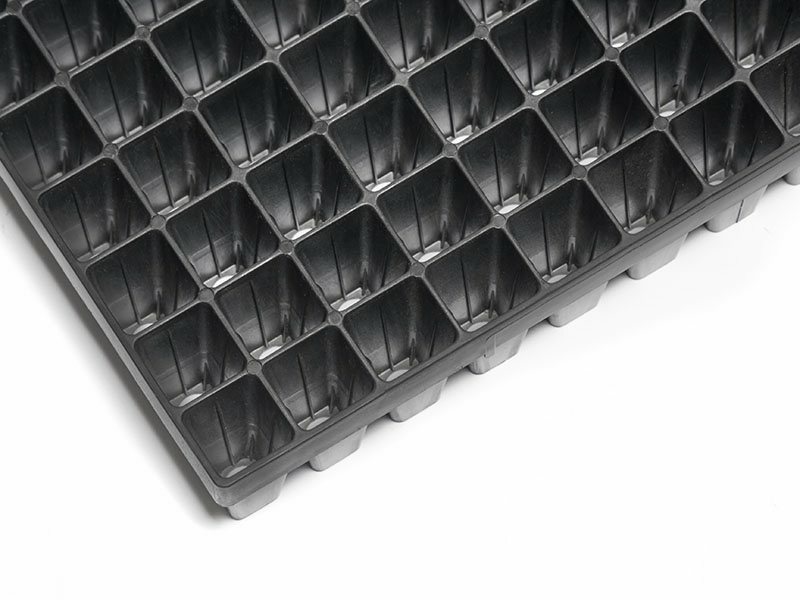 The cell volume is almost identical to the 128 cell Styrofoam tray but with 26% more cells, meaning more plants per square foot. 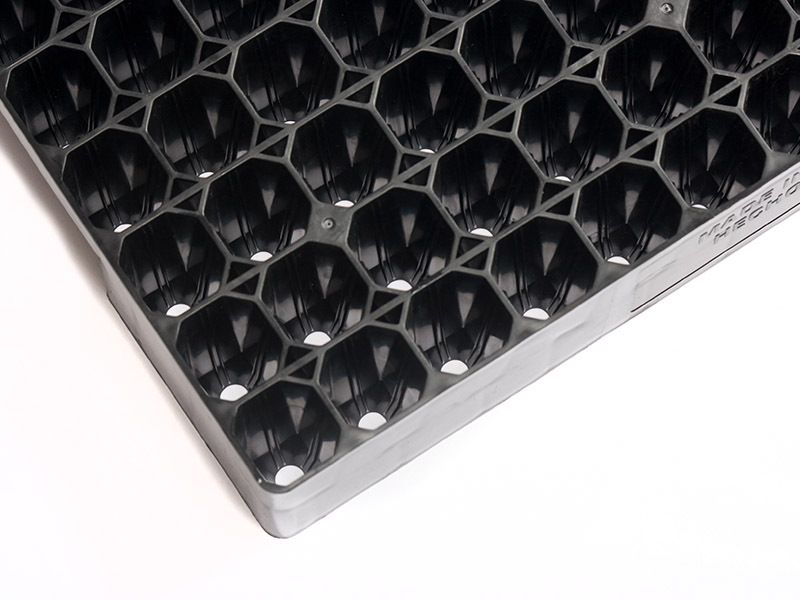 Even though there are 162 cells in the same space as 128, due to the strong nature of injection molded plastic the cell walls can be much thinner, meaning the plant spacing i. e. centre to centre spacing is only decreased by 8.6%. Plant quality is very similar between the higher density tray and the 128 Styrofoam tray and often the difference is very hard to see. 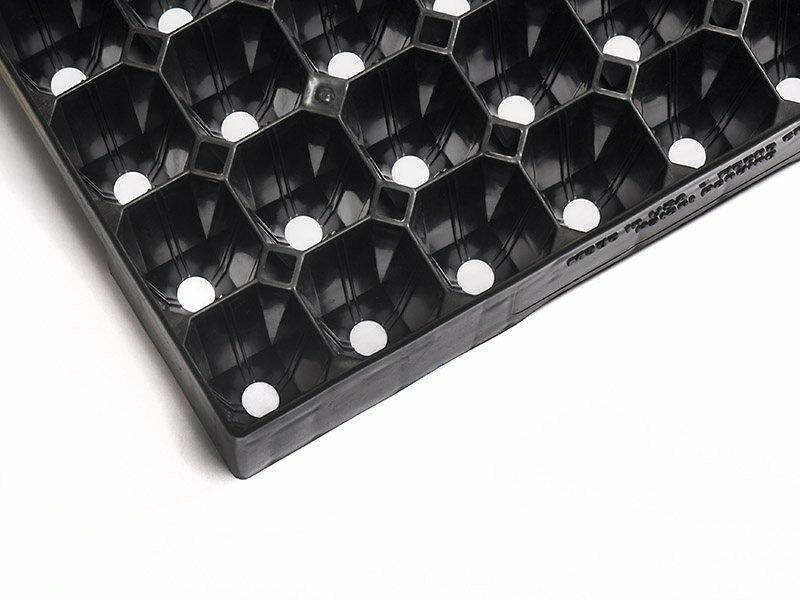 The Proptek 162 also features our patented root technology. Cells have internal vertical root training ribs to guide the roots down to the drain hole. 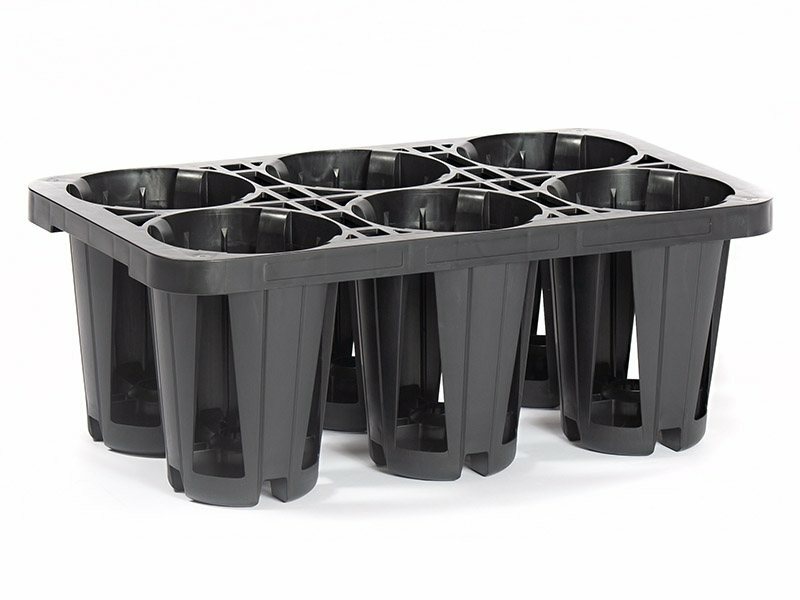 This not only creates excellent roots that make the plant easy to pull, it creates a vertical chimney which aids aeration of the root ball and drainage. 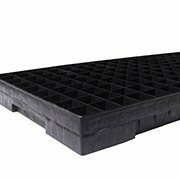 This all means a higher quality plant that is more likely to survive transplanting and grow vigourously. 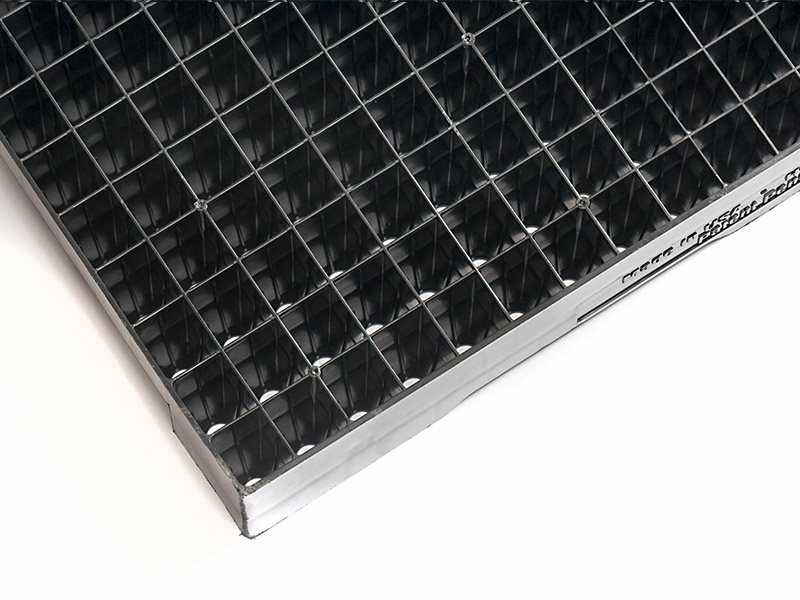 This tray has been designed with both people and machinery in mind. 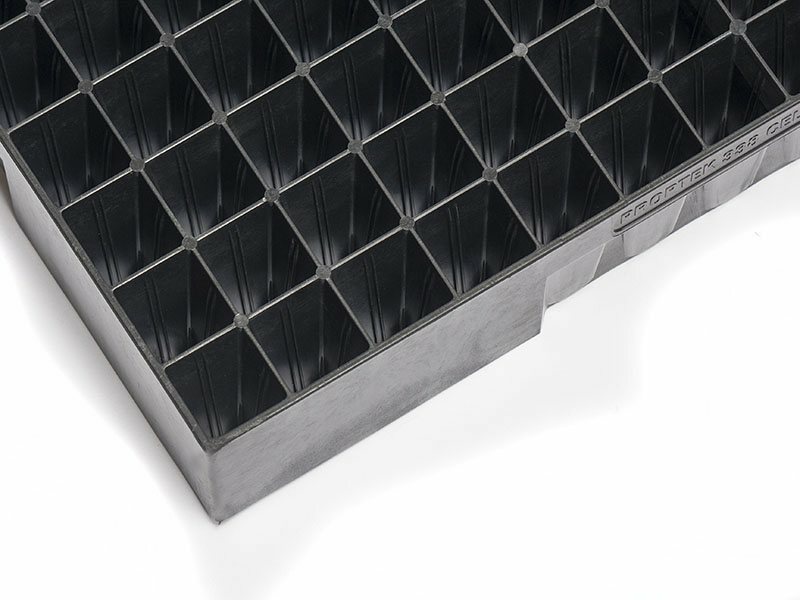 The recessed handle on the ends of the tray makes the trays easy to lift up manually and mechanically. 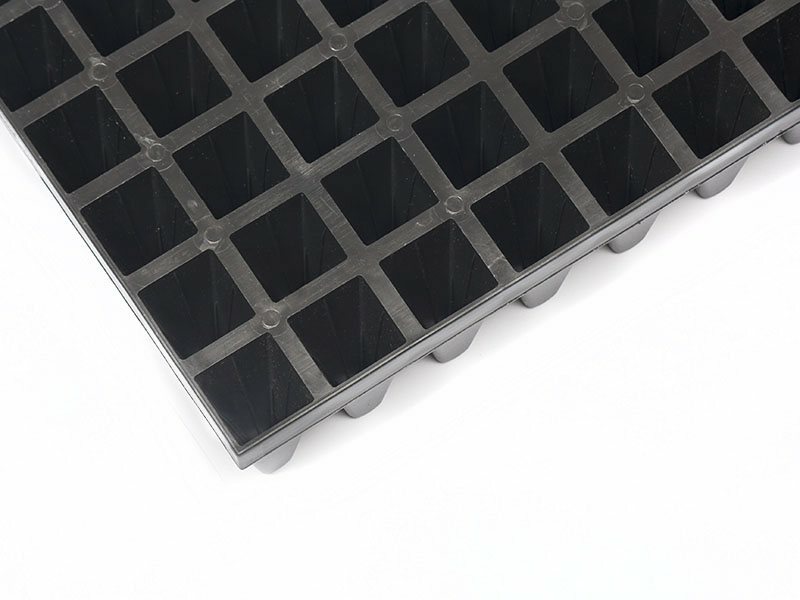 Strong corners and rounded edges to the tray make it more user friendly and kinder on the hands. 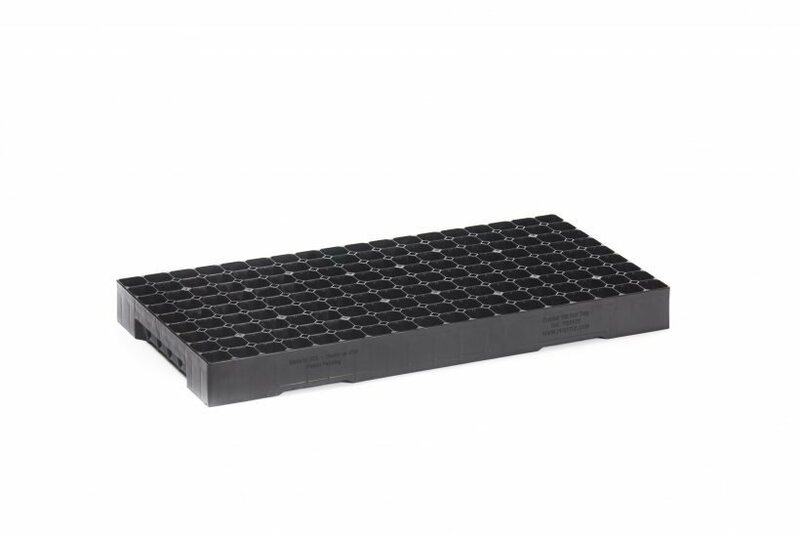 In my opinion, Proptek’s 162 injection molded tray is the best reusable watermelon transplant tray on the market.